The Heizer PS1 "Pocket Shotgun" will appear on an episode of "The Blacklist" airing April 2. Heizer Defense wants to let fans of NBC’s very popular show, The Blacklist, know their PS1 “Pocket Shotgun” Pistol is appearing in episode 2, 18. The episode is airing April 2. The Blacklist is fast becoming NBC’s #1 show and can be viewed Thursdays at 9pm Eastern. In addition to The Blacklist exposure, the Heizer Defense PS1 “Pocket Shotgun” Pistol can be seen in the newly released movie Cymbeline. The movie is a gritty update of the Shakespeare play, starring Ethan Hawke, Ed Harris, and Milla Jovovich. 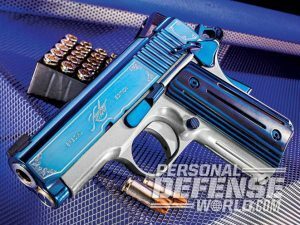 Heizer Defense Pocket Pistols are proudly distributed by its partners AcuSport, AmChar Wholesale, Bangers, Big Rock Sports, Bill Hick’s, Sports South, Williams Shooting Supply and Zanders Sporting Goods. 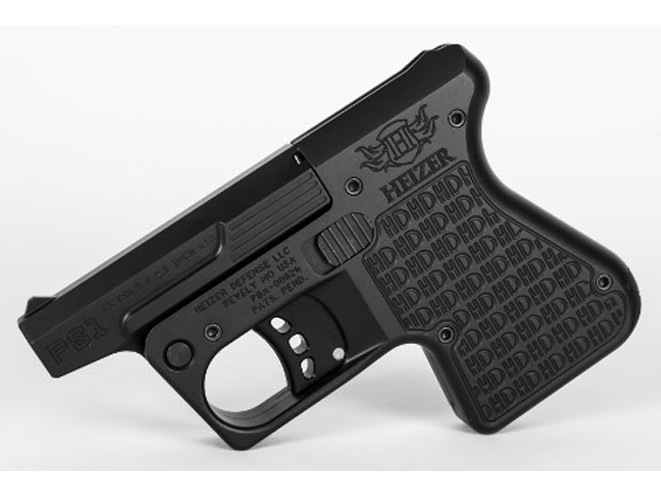 Heizer Defense is a state-of-the-art, high technology Firearm Company based in Pevely, Missouri, a suburb of St. Louis. Heizer Defense is an affiliated company of Heizer Aerospace. Founded in 1962, it manufactures fracture critical components for aerospace companies, NASA and the military. Heizer Defense Engineers apply the same military technology to create high quality firearms.